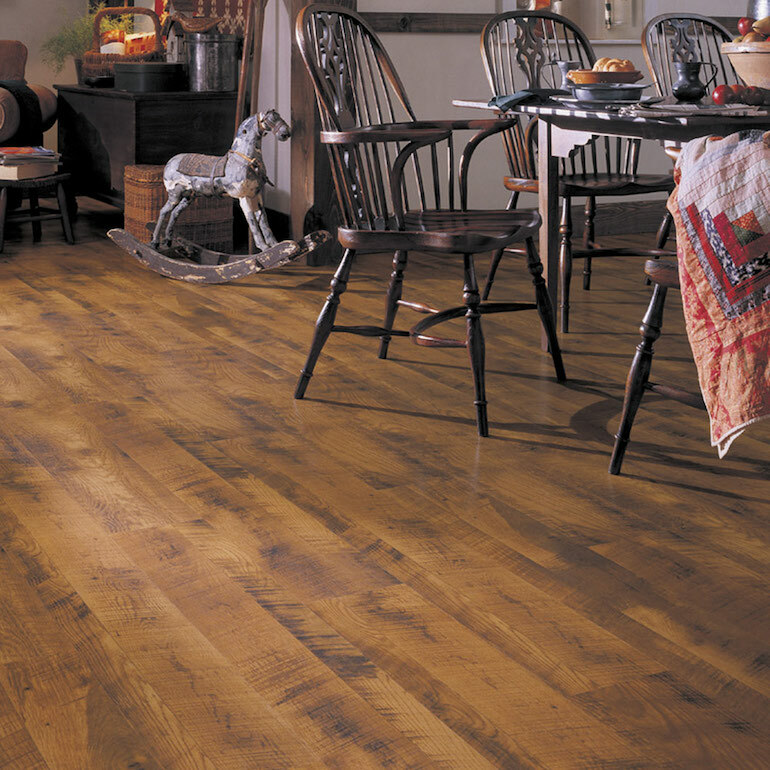 Quality makes all the difference when choosing a laminate floor. Thicker boards, improved wear layers and special edge treatments – these are the hallmarks of better quality goods. And of course, don’t skimp on the visuals: Cheap laminate looks cheap whereas high-end laminate looks virtually indistinguishable from the real thing. A good rule of thumb – as with any investment in your home – is to buy the best you can afford. While even lower quality floors can perform, the best performance features and visual treatments are found in better quality goods. And that’s where the real difference lies. At the low end are thin fiberboard cores with thin wear layers and sometimes ridiculously low prices. The visuals are not bad, but they’re not particularly good either. What lower quality laminate does offer is low, low prices. You’ll often see it advertised for what seems like a ridiculously low price as a lure to get you into the store only to find yourself being traded up to better quality and more expensive goods. Unfortunately, that practice is not uncommon. They then digitally enhance the original to bring out the design characteristics that in turn inspire consumers – whether it be wood graining or in the case of stone looks, the veining you find in Mother Nature. No wonder laminate looks so good. 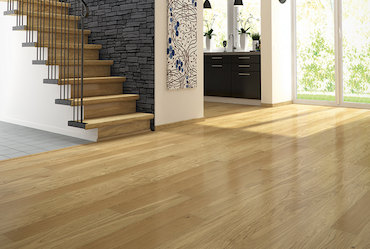 Performance features on high-end floors are also enhanced. Edges, which are often the most vulnerable part of the floor, are specially treated for a further level of protection. Core boards are thicker which mitigates against that hollow sound that some laminate floors have. Most important, are the improved wear layers that make laminate flooring so attractive in the first place. Click installation systems are used at both extremes of the quality spectrum so there isn’t much difference there except for some improvements at the higher end.